Pick up at hotel was late by 10min, still need to transfer and change bus according to trip. Entrance of bus step was kinda too high for mum(59) to step up/down. But luckily the guide, Mr Shawn was entertaining, kind and patient. Overall, trip was worth it!! 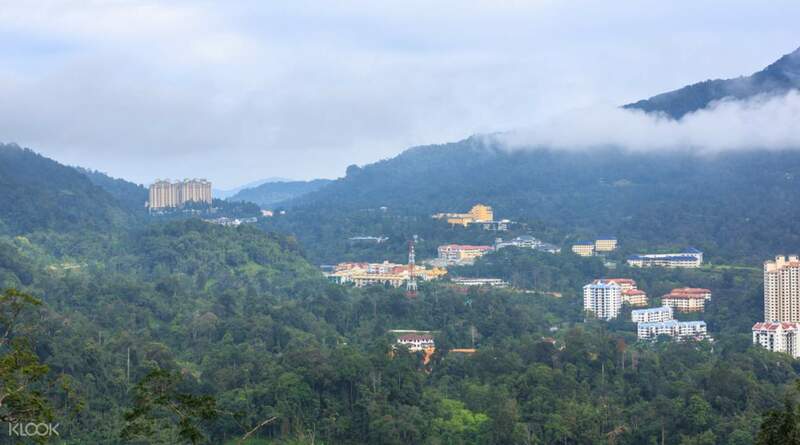 Enjoy a relaxing getaway from the bustling metropolis in Malaysia's biggest highland resort and casino - Genting Highlands. Here you will get to enjoy a variety of fun rides, watch a movie in the resort's cinema, try your luck in the casino and more! Marvel at the panoramic views of mountains and jungles, and complete the day with a shopping spree at over 80 shops lining the resort. So you can stock up on souvenirs then head back refreshed. The tour guide to pick us up was on time. So sad that the park was still under renovation. So we just stayed at the mall and tried the 4D Trick Art Museum at Ripely’s Adventureland. It was fun though. ☺️ We also ride the cable car going into the resort and it was an amazing experience. We were nervous at first but it turns out that it was so cool riding it. 😎U got to see amazing views from the top. The tour guide was nice and very informative. The tour guide to pick us up was on time. So sad that the park was still under renovation. So we just stayed at the mall and tried the 4D Trick Art Museum at Ripely’s Adventureland. It was fun though. ☺️ We also ride the cable car going into the resort and it was an amazing experience. We were nervous at first but it turns out that it was so cool riding it. 😎U got to see amazing views from the top. The tour guide was nice and very informative. Superb! Stephen, our tour guide, is a very funny and witty guy. He gives instructions very clearly and has painstakingly made his own map of the Genting Highlands so we won't be lost. GH is such a beautiful and relaxing place. Great for families and friends. Great restaurants and shopping stores. And oh! That gondola ride is awesome! We enjoyed most of all the Sky Symphony. Amazing lights and sounds show! Superb! Stephen, our tour guide, is a very funny and witty guy. He gives instructions very clearly and has painstakingly made his own map of the Genting Highlands so we won't be lost. GH is such a beautiful and relaxing place. Great for families and friends. Great restaurants and shopping stores. And oh! That gondola ride is awesome! We enjoyed most of all the Sky Symphony. Amazing lights and sounds show! It was a beautiful experience for my family. We enjoyed much in this tour. Booking in klook is easy and hassle free. Pick up arrived on time, good thing as well our hotel is located near meeting point for all big buses tour. It was smooth, we were given enough time to explore Genting. Our tour guide was very much informative and explaining facts about Malaysia everytime we pass by important location. 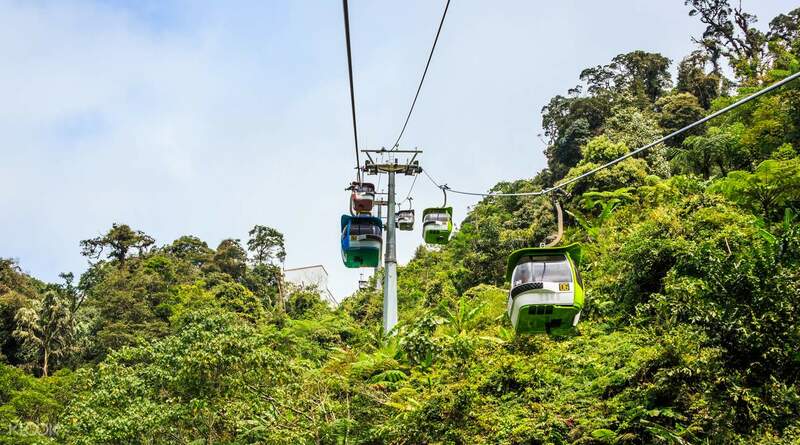 Genting Highlands is truly a recommended tour sight. It was a beautiful experience for my family. We enjoyed much in this tour. Booking in klook is easy and hassle free. Pick up arrived on time, good thing as well our hotel is located near meeting point for all big buses tour. 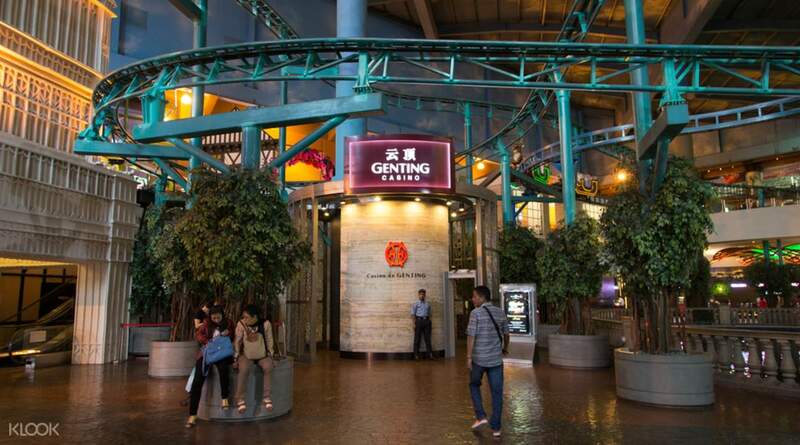 It was smooth, we were given enough time to explore Genting. Our tour guide was very much informative and explaining facts about Malaysia everytime we pass by important location. 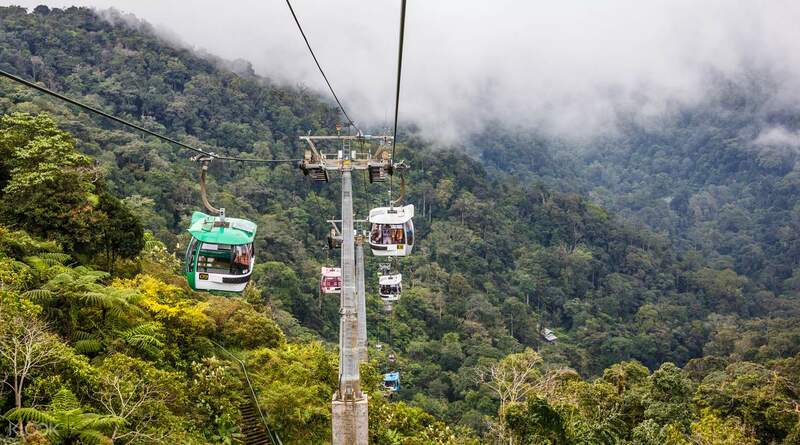 Genting Highlands is truly a recommended tour sight. Genting Highlands day trip was booked by us well in advance . Pacakage included tickets to skyway and pick up and drop to hotel . 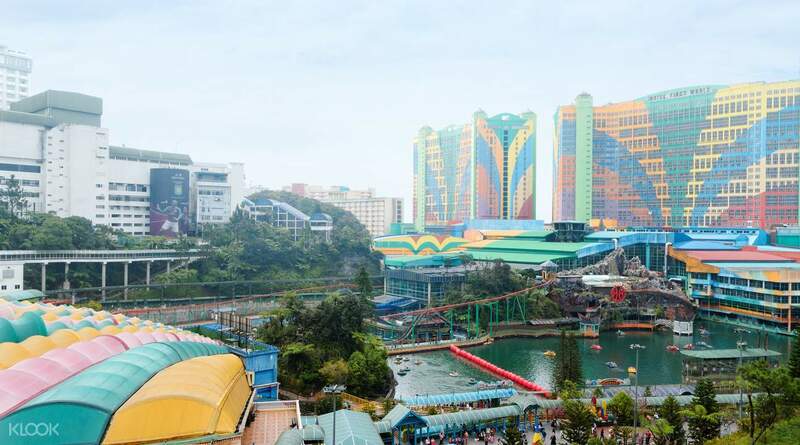 View from skyway and activities at First world hotel are fun . 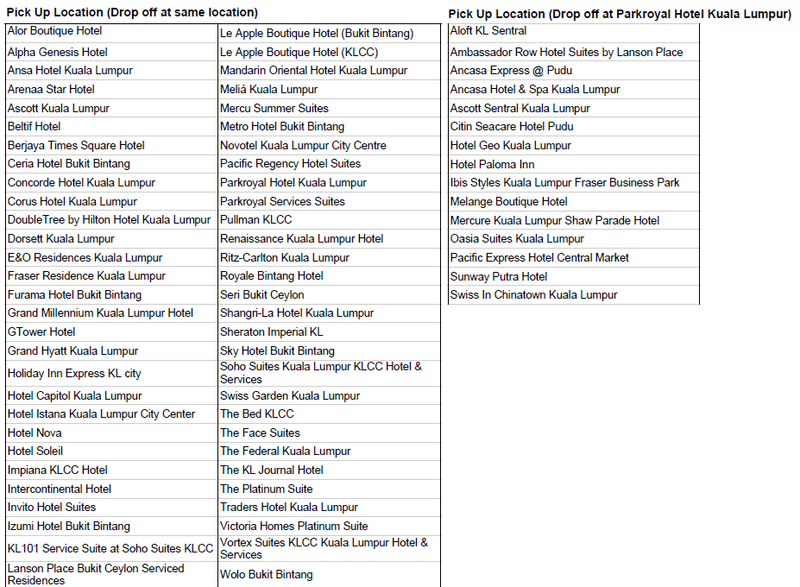 Genting Highlands day trip was booked by us well in advance . Pacakage included tickets to skyway and pick up and drop to hotel . View from skyway and activities at First world hotel are fun . great experience to see th mountaunside of KL. the temp is breezely cold. the ride was okay. we did the Ripleys. the tour guide should be more able to explain better. great experience to see th mountaunside of KL. the temp is breezely cold. the ride was okay. we did the Ripleys. the tour guide should be more able to explain better. Service was on time. Genting Highlands is a must. Weather was so great and since it was located on a mountain do not forget to bring umbrellas because it might have rain. Cable car was a so so... errrr a must! 1st stop was the temple then last was the genting mall. a lot of shops restaurants casino and activities inside. Service was on time. Genting Highlands is a must. Weather was so great and since it was located on a mountain do not forget to bring umbrellas because it might have rain. Cable car was a so so... errrr a must! 1st stop was the temple then last was the genting mall. a lot of shops restaurants casino and activities inside. i wasnt expecting much from this trip esp after knowing that the theme park is closed. but this went above and beyond my expectations. we really enjoyed the trip, the guide was very approacheable. he's on time. and genting is stunning. the cable car ride alone was really worth trying. we also went to harriston which was amazing cuz we had a chance to buy chocolates at a really good deal. i wasnt expecting much from this trip esp after knowing that the theme park is closed. but this went above and beyond my expectations. we really enjoyed the trip, the guide was very approacheable. he's on time. and genting is stunning. the cable car ride alone was really worth trying. we also went to harriston which was amazing cuz we had a chance to buy chocolates at a really good deal. highly recommended, our tour guide is very educational, he speak english very well, the premium outlets is on sale. highly recommended, our tour guide is very educational, he speak english very well, the premium outlets is on sale.